. :: Hannah Moonriver for Genesis 1 ::. 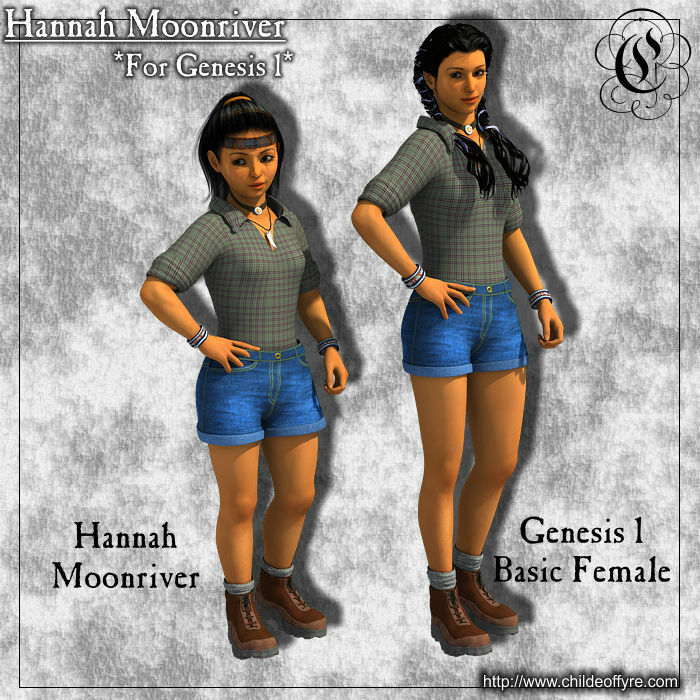 Hannah Moonriver is a Genesis 1 shape preset. She is supposed to be somewhere in the age range of 13-16 years old, and I did attempt to reflect that with her shape, size, and proportions. 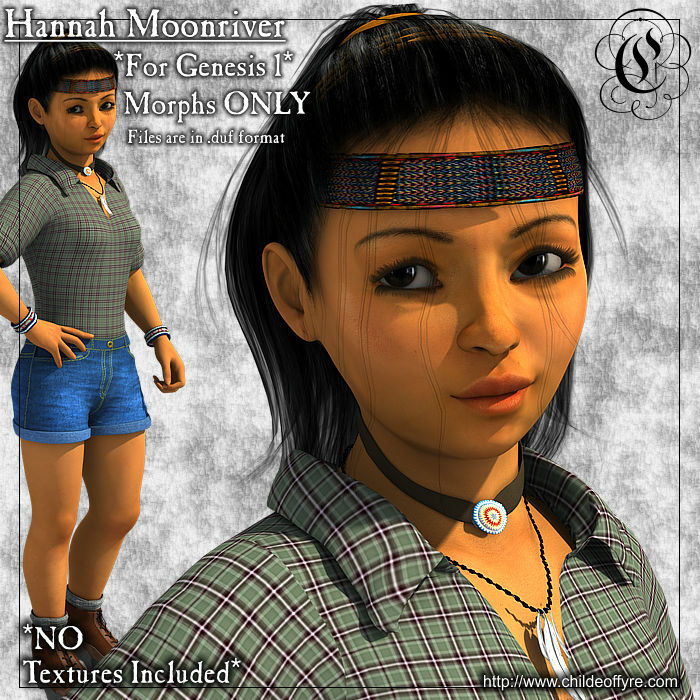 Her morphs loosely mimic a Pacific Northwest tribe of American Indians that I'm familiar with, though you can always use any texture that you wish with her morphs. When using Hannah's full body poses, please MAKE SURE that you click the !ZERO All! before applying the next pose. One of the poses seems to do weird things to Genesis' body rotation if you don't do this. Additionally, I'd like to mention that in Hannah's case, she comes with ONLY a full-body character preset. There are NO TEXTURES included in this file! so she comes as ONLY a full head-and-body character shape preset for Genesis. so please, PLEASE... READ the list of required products below, BEFORE you download her! 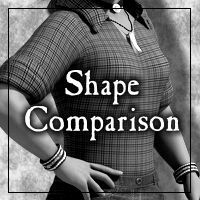 The various morph packs, which are needed for her shape preset to work, are NOT NEEDED for her body poses to be functional. 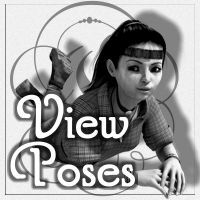 If you do not have the various morph packs listed, you CAN still make use of the 5 Genesis poses that I have included!